Divinity: Original Sin from the Belgian Larian Studios makes its mark as one of the best RPGs of this year, and we still have half a year left. Its deep strategic combat and rich fantasy setting makes this an experience not to be missed by fans of the genre – especially those who fondly remember the RPGs we saw 15 to 20 years ago. Those who are unfamiliar with Larian Studios’ Divinity series might be forgiven for assuming this game is quite a bit like Diablo. While both game series are RPGs, the actual gameplay is miles apart and will likely appeal to a different target audience – and Divinity: Original Sin is no exception. Most importantly, it exchanges quick button presses during combat for deep and strategic gameplay that is turn-based. The entire dynamic of the game is much more slow-paced than Diablo’s, which is one of the reasons that shows the Divinity universe being firmly rooted in PC gaming history – harking back to the days of the original Ultima games of the eighties and early nineties. Divinity: Original Sin is currently a PC exclusive, but don’t be surprised if eventually this pops up on a console near you – as Divinity II made the leap to the Xbox platform a few years ago as well. Here’s hoping that Larian gets the opportunity to do this, as console owners would be missing out otherwise. Larian Studios’ latest takes place in a fantasy setting that evokes memories from the likes of Tolkien as well as other fantasy RPGs. The story puts two heroes amidst an uprising of orcs which threatens the free people of Rivellon by using not just their sheer strength but also an arsenal of dark magic. Adding further depth to the story is the fact that both protagonists are burdened with a troubled past and the stage is set for an epic fantasy tale. Our two leads, a formerly chained warrior and a mystic heroine, are soon joined by others as they venture forth in a team of up to four characters. This is where careful and strategic planning comes into play, as a balanced team is much more likely to overcome adversity. 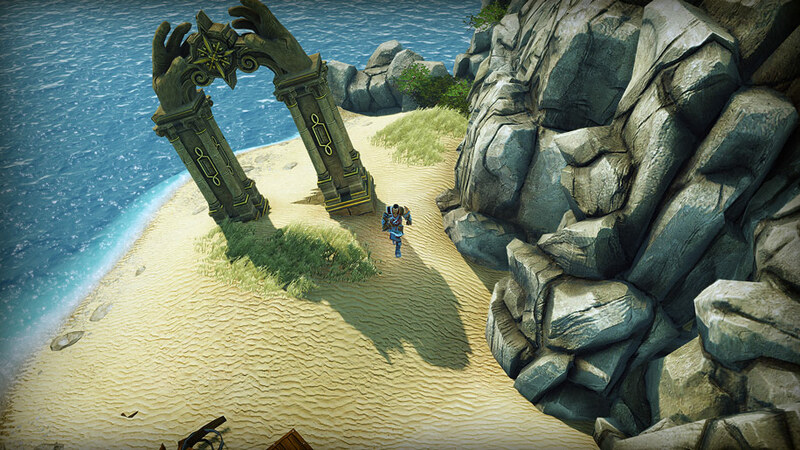 Before long, you’ll enter into combat, which switches your perspective to a turn-based setting. As you develop your characters, add new abilities and create new items throughout the game, your options in combat continue to increase in range and depth. This keeps the experience fresh, and kept us coming back for more – although a second playthrough very much becomes a “back to basics” affair this way. Still, finding out about the many ways in which similar scenarios can be tackled is an experience in and of itself, and a large part of Divinity: Original Sin’s appeal. With combat being based on the number of action points you have a to spend, careful choices are the key to success. Will you go for a short range tactic, or will you go in and drop an explosive compound close to your enemies before pulling back and blowing them sky-high with a carefully aimed fire arrow or spell? 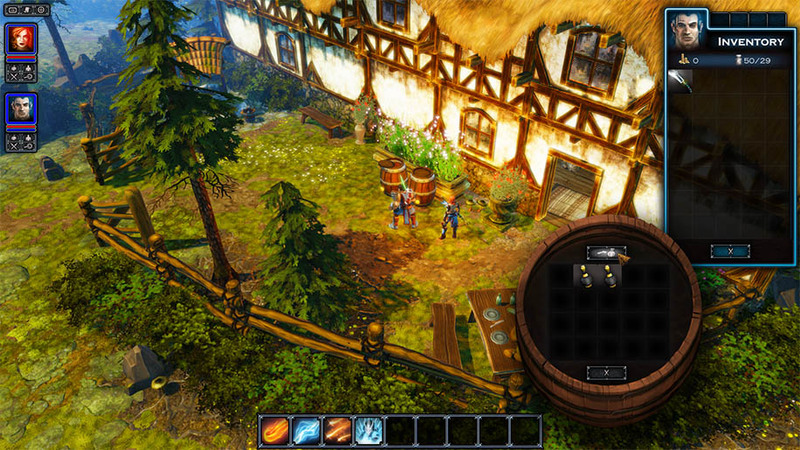 Larian really encourages players to go out and discover things within their game world. This isn’t just true for the combat, it also applies to the richly designed environment. While you can follow quests and head straight for the endgame, you can also choose to engage in conversations or even go off the hero path and rob some good citizens to gain the gold than can help you boost your abilities. Even without this freedom, the main campaign will still last you at least 30 to 40 hours – and being engaged for that amount of time is one of the biggest compliments anyone can give to a game. Highly recommended!